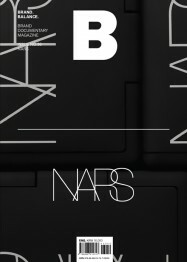 The cosmetic brand Nars was founded in 1996 in New York by French makeup artist François Nars. At launch, the brand offered only 12 shades of lipstick, but the inimitable colors offered were an early demonstration of the brand’s strengths. Nars was also among the first to make unconventional choices of models for commercial beauty campaigns, boldly suggesting a new idea of feminine beauty.